All welcome whatever your skill level! Ever felt that uncomfortable “Not sure where I am” feeling? Want to head out into the hills with confidence? Tired of following your leader? 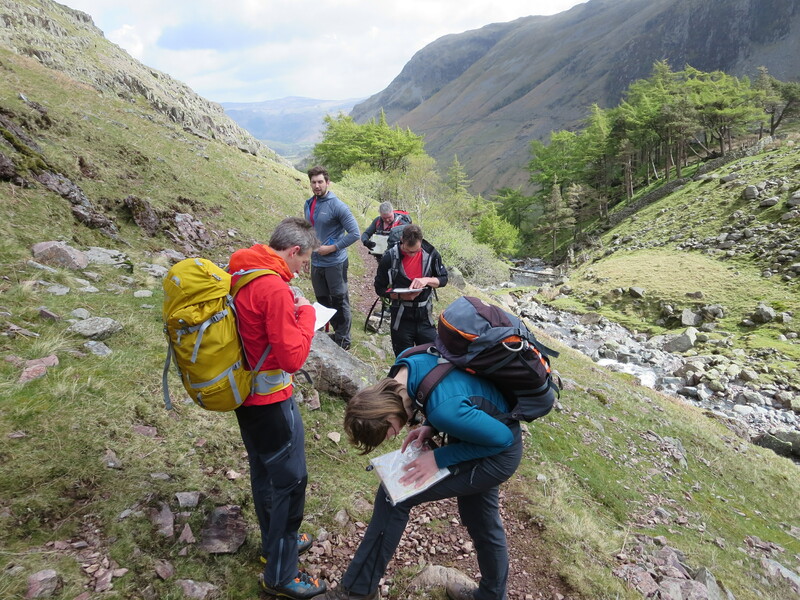 Why not learn how to read a map, take a bearing with a compass, estimate how long your walk will take and go safely and confidently into the great outdoors? Give yourself and friends a boost by learning a few tricks of the trade. Days, afternoons or evenings, it’s your course! Freetime Outdoors Hill Skills one day. A day in the Lakes. As much information as can be packed into a small space. From technical skills such as map and compass to emergency procedure and looking after your pals. The cost of this is a total of £150.00 a day for one-to-one. For groups £30.00 per person with a minimum of four clients and a maximum group of eight. A mini tour of hill skills. Working on navigation skills but throwing in plenty of other helpful hints and tips. Some of the nearer dates would involve what I call a “walk into dark”. These are always well received and build confidence for cloudy days on the tops. Cost is £15.00 per person for a local evening, £20.00 per person for Lakes. A minimum of four clients and a maximum group of eight. These evening courses take place either in Carlisle or Shap and consist of six sessions. Four are classroom based, one is an evening outdoors and one is a long half day on the hill practicing learned skills. Course dates are now available for 2019. Search for course times and dates. Improving your photographic and mountain awareness skills. Composition skills. Operating your camera equipment. Finding the view. Safe access to the hills. Understanding a map. Introduction to map and compass work. Spring 2019 Two day weekend course . Date tbc. One day workshops for beginners or rusty walkers. An easy day on mid height fells of the north Pennines or Ullswater area to get a grasp of the basics. Mountain Leader (summer) and Single Pitch Award Courses run by Adventures of Cockermouth. Professional qualification. Contact us for more information. 26th April 2019, 10th May 2019 ML Training split weekends. 7th June 2019, 21st June 2019 ML Assessment split weekends. 14th June 2019, 28th June 2019 ML Training split weekends. 8th July 2019 – 13th July 2019 ML Training week course. Mountain Leader (summer) and Rock Climbing Instructor Courses run by Adventures of Cockermouth. Professional qualification. Please contact us for more information. £325.00 self catering. £395 residential. More courses being posted soon! For more of what I do in the hills please go to my blog posts.